Throwing a 70s party? Why not try out this fun girl mask! 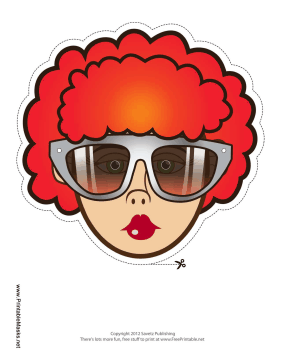 This pretty lady has red hair and swinging silver sunglasses. This mask is free to download and print.